Name two economic question categories. 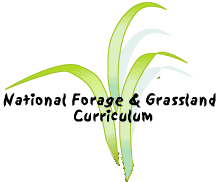 List three government programs involved in forage economics. Compare and contrast macroeconomic and microeconomic questions. Describe an example of opportunity costs. Diagram the process of enterprise budget development. Calculation: Estimate the cost of grazing 100 cattle on federal lands in Oregon and Nevada. Explain your estimation.